Solar energy devices and systems can play a significant role in the industrial sector. If we go by the present norms, energy needs for industries are met mainly through coal and fuel oil which in addition to being import dependent, also forbiddingly pollute the environment. Textile Industry, Chemical Industry, Food Industry, Leather Industry and many other industries are indiscriminately meeting their energy demands with non-renewable sources, mainly coal and fuel oil. 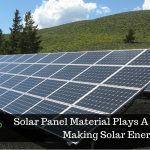 The good thing is we are neither compelled, nor in dearth of solar energy technologies which can be used in these industries and reduce the consumption of coal and fuel oil mainly during day time. With costs going down and government incentives allotted, industries are in a great position to take advantage of solar energy. By installing solar systems, industries can save on electricity costs, control future energy price increase and get tax benefits. A large number of industries can benefit from solar energy. We take a generalized approach to categorize these industries into 3 categories that can reap the maximum advantage of solar energy. The agricultural sector also requires electricity in large magnitudes and has a lot of available space for solar panel installation. With the technological improvements in agronomy, the need for electricity has increased at an exponential rate making solar energy systems extremely viable for the agrarian sector. Commercial businesses, generally the big players, operate in buildings providing great space around their premises. 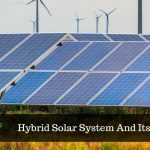 Operating usually during the day time when maximum sunlight is available, there is a huge scope of generating solar electricity for these establishments. We, therefore, notice that these industries have 2 characteristics in common. One, they require a huge amount of electricity for their operations. Two, they provide a lot of space where solar solutions can be easily installed. So, it’s high time these industries realize the true potential as well as the environmental welfare that solar energy possesses and proposes. 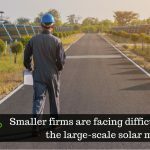 The bottom line, Solar solutions are the best option industries can, and definitely should, embrace.